Our feet are the most used parts of the body. And due to tough and busy routines, we are unable to take care of them. Here we are sharing tips to get softer feet in no time. There are a lot of cosmetics and other skin care products which claim to make feet soft. But the main problem is that we are not having enough time. This is because of the tough routines. Therefore, we are sharing some very easy guidelines and tips to follow. Which will eventually help you in achieving the goals of better and softer skin in no time? Exfoliation is one of the most important technique to repair the skin. it is a simple process which involves the removal of dead skin cells. Due to the sloughing of dead and old skin, ultimately a new fresh skin is revealed. For this purpose, it is not necessary to use harsh products like loofahs. Although they have been in use for quite some time. But it is recommended to use less painful remedies. You can simply do this by using exfoliating creams. You can do this before going to the bed and letting it do the action overnight. 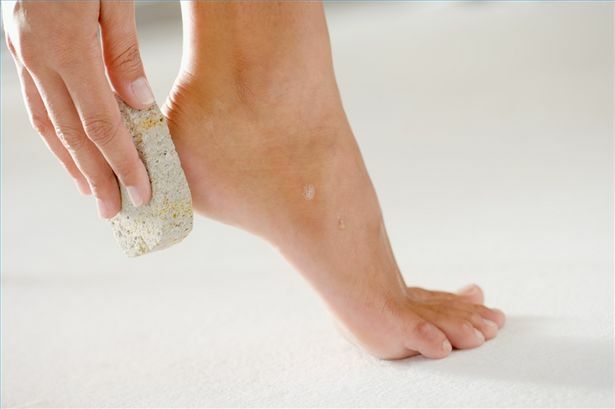 After exfoliation, you need to properly moisturize the skin of the feet. This is also important and you need to pay equal attention to it as well. The main process of moisturizing is very simple. It is a technique which helps in prevention of loss of water from the surface of the skin. And so the moisture is retained within. This can be done by applying moisturizers on the feet which are available as creams or lotions etc. They will make a protective layer on the skin. And the skin of the feet will eventually remain hydrated and you will have the desired softer feet.